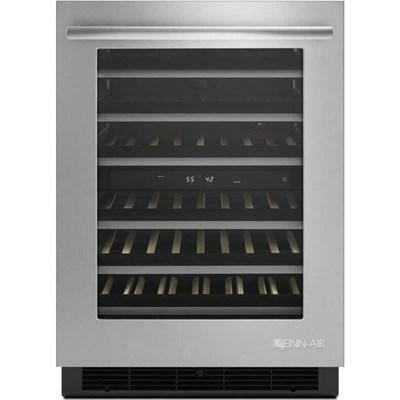 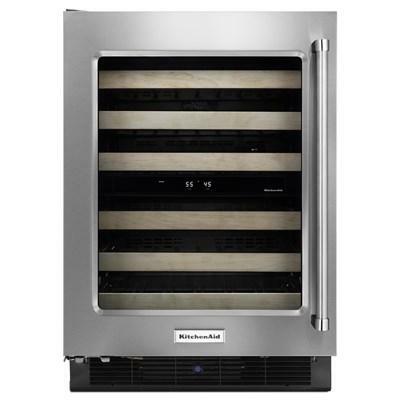 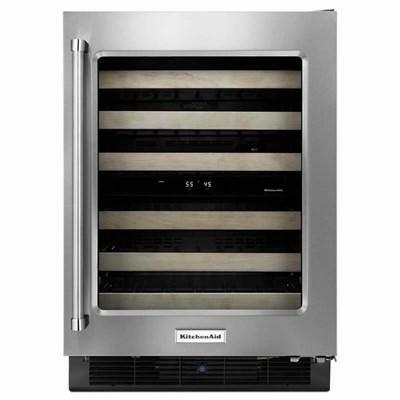 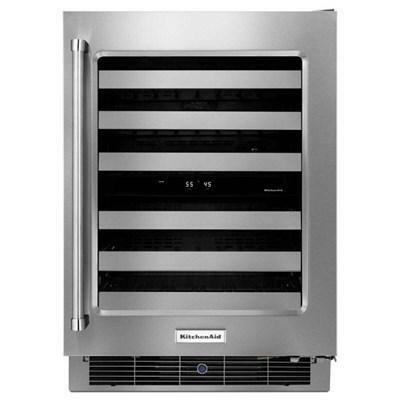 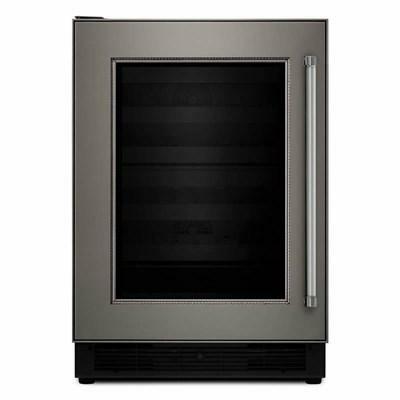 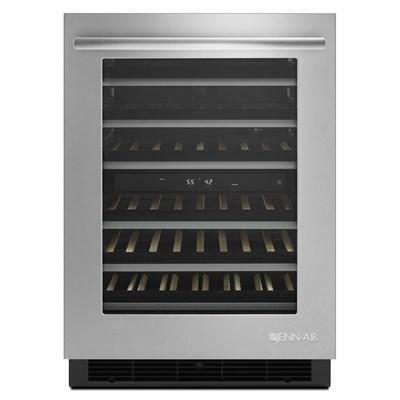 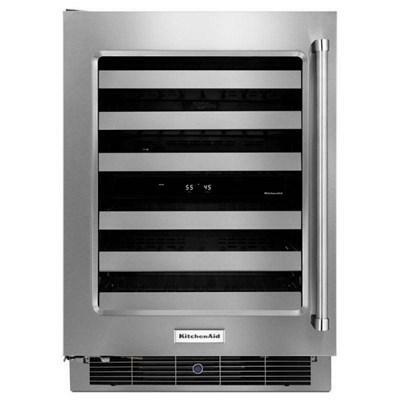 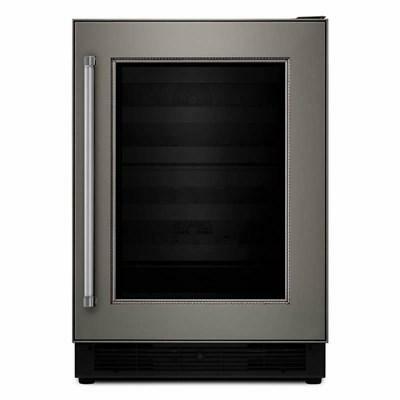 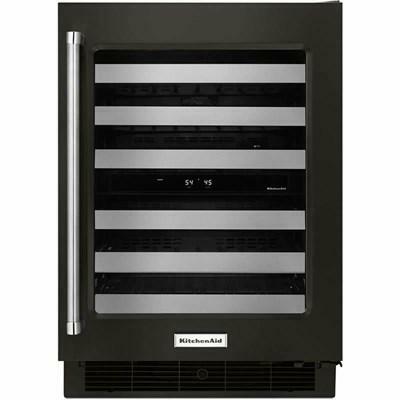 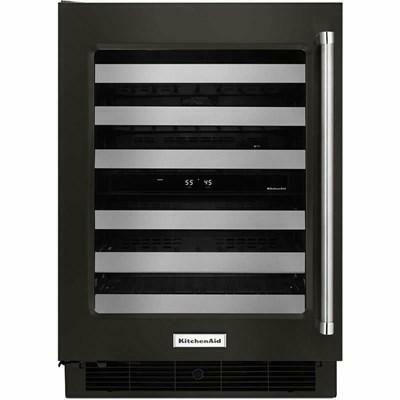 Jenn-Air® 24-inch under counter wine cellar with a capacity to store 46 wine bottles. 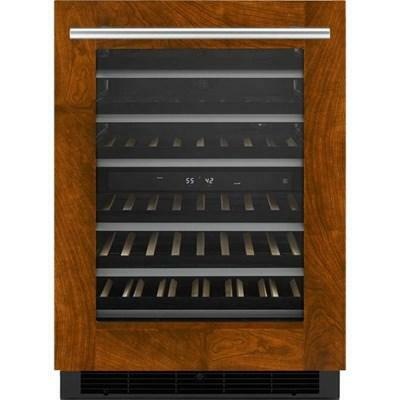 It features dual temperature zones, six pull-out wine racks, and eight temperature presets. 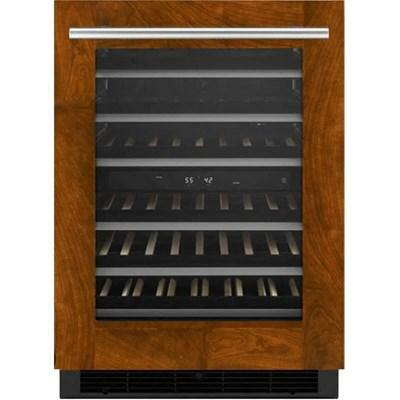 This model requires a custom panel (sold separately).